Search is also one of the most popular Internet service in China and it should be an important part of your digital strategy in China. 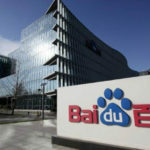 As Google is not a big player in Chinese search engine market but Baidu with about 70% market share, followed by Qihoo 360 and Sogou/Soso league. Not long after Facebook’s Hangzhou subsidiary launch, Google was reported to be planning a launch of a censored search engine in China. A poll was created on Weibo asking “if Google returns to China, which will you choose between Google and Baidu?”. 72.8% voted for Google. WeChat team announced the launch of brand search on WeChat Official Accounts platforms. Those having brand search enabled will get extra features including a brand zone and micro-page. WeChat boutique stores don’t have a direct entry path from the main menu and are triggered to display after the brand terms are searched.